The 2007 Epsom Derby was won by Authorized, who went on to be the stud to a lot of successful horses such as Hartnell, Battalion, Euchen Glen, Notarised and Underwritten. Another horse that Authorized played sire to was Irish-born gelding Tiger Roll. With nine wins, six seconds and three thirds to his name, Tiger Roll hasn’t been as formidable as other horses over his thirty-two recognised races, but many of the wins he’s achieved set as big a stamp on the sport of horse racing as Authorized before him. He was primarily owned by Sheikh Mohammed bin Rashid Al Mahtoum’s horse ownership company Darley, before being bought by Mrs K Wetherall. She sent Tiger Roll to Cullentra House Stables in Ireland, where he was trained by professional horse trainer Gordon Elliott. Running his first race at Market Rasen, Tiger Roll won the 1sts Security Solutions Juvenile Hurdle. It was at this point that Gordon Elliott started training Tiger Roll, prompting wins in the JCB Triumph Hurdle and the Masterson Holdings Hurdle at Cheltenham, finishing second in the Gala Retail Spring Juvenile Hurdle at Leopardstown, and poorly finishing seventh in the AES Champion Four-Year-Old Hurdle at Leopardstown. The following nine races ended in defeat, pulling up at the WKD Hurdle at Down Royal, before failing to win at Gowran Park, Cheltenham, Punchestown, Dundalk, Aintree, and pulling up again at Punchestown. A stronger record came midway through 2016, where Tiger Roll won the McHale Fusion 3 Plus Beginners Chase at Ballinrobe and the Midlands National Ladies Day July 15th Novice Chase at Kilbeggan. Tiger Roll ran a further eight races in 2016, winning the JT McNamara Ladbrokes Munster National Handicap Chase at Limerick, and resulting second in the Killarney Oaks Hotel Novice Chase at Killarney, the Ballybrit Novice Chase at Galway, and the Allman Contracts Ltd Novice Chase at Listowel. 2018 started with an incredible win in the JT McNamara National Hunt Challenge Cup Amateur Riders’ Novices’ Chase despite possessing a starting price of 16/1. There wasn’t as much luck in attempting to show dominance at Wexford, Clonmell, or even in the next appearance at Cheltenham Racecourse in December but returning to Cheltenham Festival in 2018 saw another win, this time in the Glenfarclas Chase. 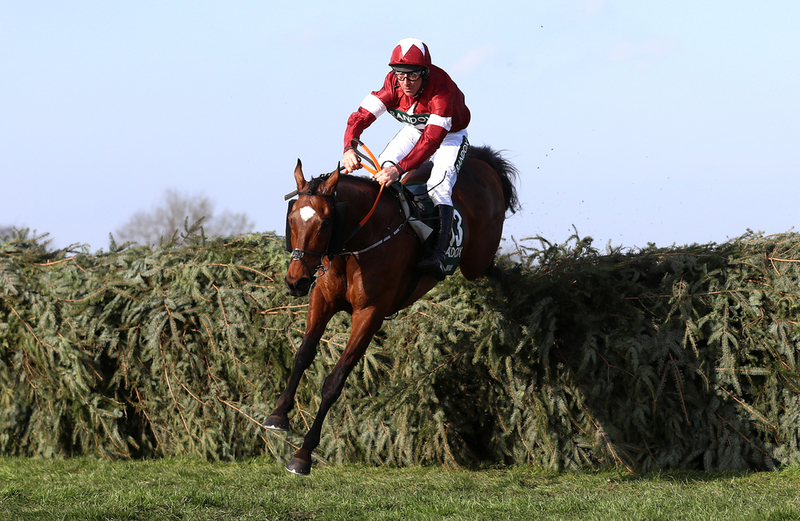 It proved to be Tiger Roll’s year, as he went on to win the coveted Aintree Grand National, recording his best achievement to date. The Cheltenham November Meeting featured Tiger Roll, but he could only reach fourth in the Glenfarclas Cross Country Handicap Chase. Race meetings conducted at Cheltenham Festival are recognised as a way of testing all of the UK and Ireland’s best horses. Tiger Roll was able to put his hat in the ring, winning his opening entry into Cheltenham in the 2014 JCB Triumph Hurdle. He continued this form into the November Meeting by winning the Masterson Holdings Hurdle. The 2015 Cheltenham Festival presented a completely different performance for Tiger Roll, as he finished thirteenth out of sixteen horses in the Ladbrokes World Hurdle. He failed to respond in resulting third in the Ryman Stationery Cheltenham Business Club Novices’ Chase, but the following year saw his incredible win in the JT McNamara National Hunt Challenge Cup Amateur Riders’ Novices’ Chase, where he started the race at odds of 16/1. It was difficult to carry this form into the Glenfarclas Cross Country Handicap Hurdle that followed, only making it to fifth, but he won the more important Glenfarclas Chase in the 2018 edition of Cheltenham Festival. The 2018 November Meeting saw him running in the Glenfarclas Cross Country Handicap Chase yet again, finishing fourth. Based on the number of wins at major horse racing events, it’s no shock to see a larger demand for Tiger Roll odds over future races. You’ll find all of Tiger Roll’s future entries listed below, as well as the strongest bookmaker odds for backing him to win. When is Tiger Roll running next?